RCMP units armed with assault rifles and tactical gear recently moved to enforce a temporary court injunction issued by the British Columbia Supreme Court against members of the Wet’suwet’en Nation. 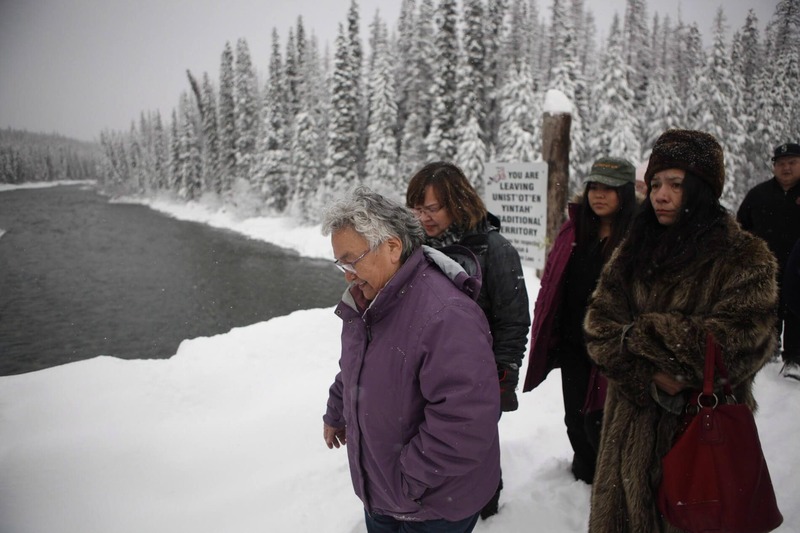 Since 2010, members of the Nation’s Unist’ot’en clan have constructed and operated the Unist’ot’en gated checkpoint and action camp located on the Morice River Bridge in northern B.C. The RCMP raids took place at a second checkpoint located on a logging road west of the Unist’ot’en camp operated by the Gidumdt’en clan. The Unist’ot’en camp and the Gidumdt’en checkpoint have been built to block the construction of the Coastal GasLink pipeline on the Wet’suwet’en Nation’s traditional territories. However, the reoccupation is much more than a blockade. Over time, the camp has built a decolonial healing centre, and become a space where Wet’suwet’en and others come to reconstruct and nurture land-based relationships. 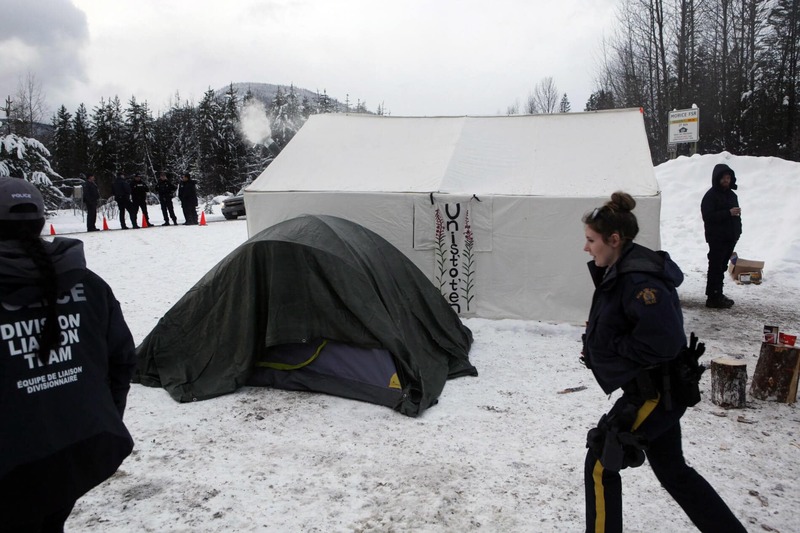 In their raid of the Gidumdt’en checkpoint, the RCMP dismantled the fortifications and arrested 14 Wet’suwet’en land defenders, including a Wet’suwet’en elder. 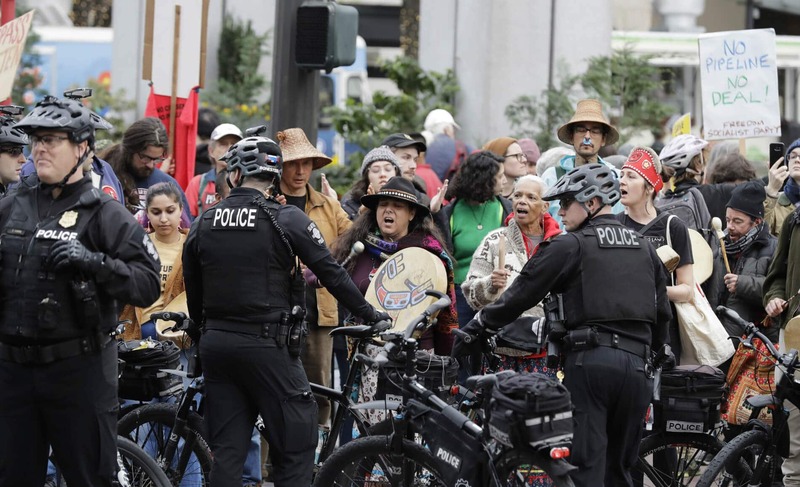 In the aftermath of the RCMP’s actions, solidarity efforts and protests have been organized across Canada and in the United States in support of the Wet’suwet’en land defenders. It’s important that settlers understand what Unist’ot’en represents in the era of reconciliation currently being promoted by governments in Canada. The injunction and RCMP operations against the Unist’ot’en camp demonstrate the limitations of reconciliation as it’s developed in Canada. It underscores the need to offer greater support of Indigenous governance structures rooted in land-based relationships. The militaristic images that have come out of the RCMP raids on the Gidumdt’en checkpoint are indeed shocking, but perhaps not surprising for those familiar with past government responses to territorial reoccupations by Indigenous peoples. Similar to actions taken by Indigenous peoples at Standing Rock, at Oka and at Gustafsen Lake, the Unist’ot’en camp was created to fight back against government and corporate claims to unceded Indigenous territory. The proposed Coastal GasLink pipeline, owned by resource development corporation TransCanada, cuts across the Wet’suwet’en’s traditional territories. Despite the natural gas pipeline receiving approval from the federal and B.C. provincial governments, as well as the elected chiefs of the Wet’suwet’en First Nation, it has been unanimously rejected by Wet’suwet’en’s hereditary chiefs. This rejection is important, as legal authority and jurisdiction over the 22,000 square kilometres unceded Wet’suwet’en territory rests with the Wet’suwet’en’s hereditary chiefs, and not the elected band council. The Wet’suwet’en’s territorial claims are supported by the Supreme Court of Canada’s 1997 Delgamuuk’w decision, which ruled that the Wet’suwet’en and the neighbouring Gitxsan had never surrendered their territory, and thus retain authority over any lands not ceded by treaty. Despite this ruling, the Canadian and B.C governments have assumed their own sovereignty over Wet’suwet’en lands and have unilaterally signed off on pipeline projects moving forward on Wet’suwet’en territory. The RCMP raids on the Wet’suwet’en should serve as a wake-up call to progressive-minded Canadians of the current trajectory of reconciliation politics in Canada. The court injunction and the RCMP’s actions against the Unist’ot’en camp demonstrates Canada’s continued unwillingness to engage with Indigenous governance structures outside of a colonial politics of recognition. The actions against the Wet’suwet’en also reflect the failure of settlers —politicians and citizens alike — to understand that meaningful reconciliation is about the inherent rights of Indigenous peoples to self-determination over their traditional territories. In the case of Unist’ot’en, this hasn’t happened. The federal government has labelled Wet’suwet’en’s hereditary chiefs as “Aboriginal extremists” instead of engaging with them as the national leaders they are.